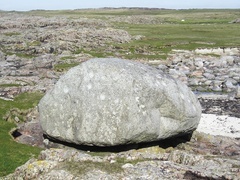 Situated between Balephetrish and Vaul, this is a large boulder balanced on other rocks like an egg on a spoon. It emits a metallic ring when struck and has a number of cup markings generally associated with the period of the Megalithic Builders. There are no other examples of this type of rock on the island and it is thought that it was trundled over from Rhum during the ice age. 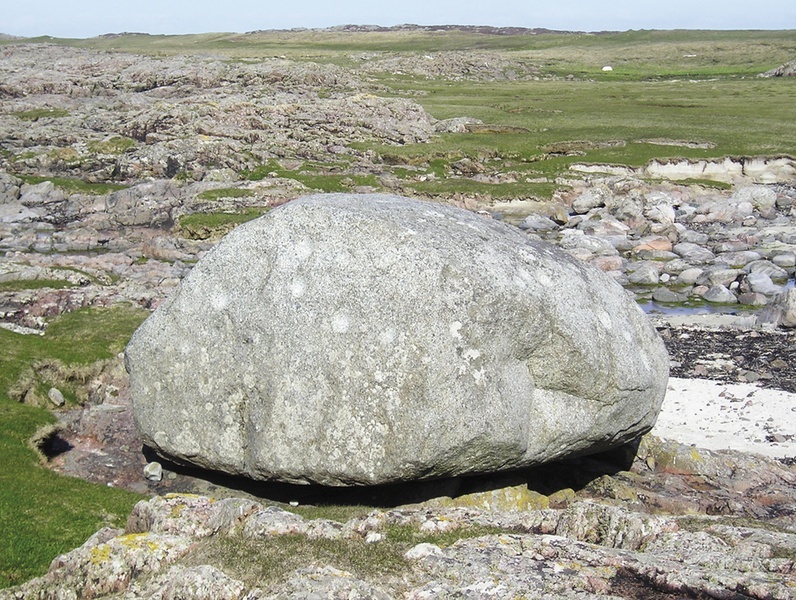 A much more romantic piece of folklore is that it was thrown by a giant from Mull, and should it ever be removed from Tiree the island will sink into the sea and be lost forever.